Tourism New Zealand is collaborating with MTV to run a series of four-minute documentaries following local musicians Scribe, Liam Finn, and the Mint Chicks. 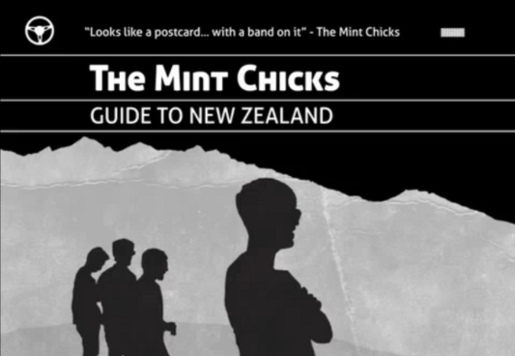 The Mint Chicks head to Queenstown and Wanaka to perform at the Rippon Music Festival at Rippon Vineyard. Liam Finn gives an intimate look at his favourite spots in and around Auckland, from the studio where he produces his music, to Piha Beach where he loves to surf and chill out. NZ rapper Scribe unearths his favourite inspirational locations, including music venues, untouched beaches, restaurants, bars and festivals. Each of the shorts ends with an invitation to book an airfare with Pacific Blue, an international line of Virgin Blue. The Guide to NZ campaign was developed at MTV Brand Solutions by director Colin Blake, creative director Vanessa Zuppicich, senior creative Kate Davitt, creative Anna Snowman, talent and artist relations manager Simone Stopford. Filming was shot by director Miki Magasiva, via Curious Film with producer Peter Grasse.